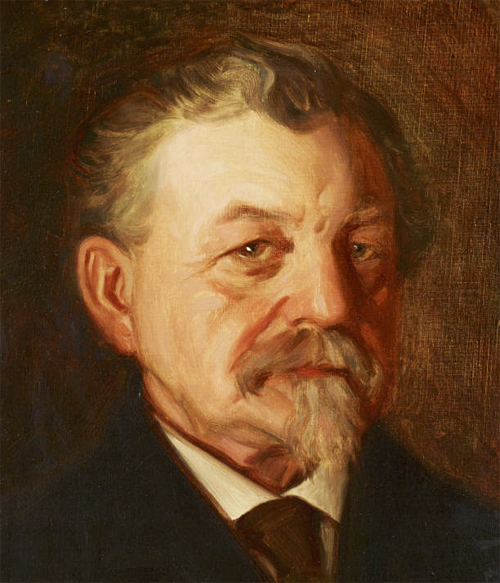 Casper Henry Truelsen (1844–1931) was born in Schleswig, Germany, in 1844. In 1866 he struck out for the United States, landing in Eagle River, Wisconsin, before arriving in Duluth in 1870. Here he worked as a plasterer and railroad laborer and dabbled in a merchandising before opening a fishery (later sold to Duluth’s premier fishing operation, the A. Booth Company). In 1886 he entered the grocery business and became involved with politics. A Democrat, Truelsen served as city alderman, county sheriff, and president of Duluth’s Board of Public Works. He was against Mayor Ray Lewis’s plan to purchase Duluth Water & Gas’s water system for over $2 million—it was a good idea, but too much money. A referendum in November 1894, carried the mayor’s plan by just 300 votes, but Truelsen cried foul—and was proven right: the courts found over 2,000 fraudulent ballots. His actions blocked the purchase and upset Duluth’s Republican power brokers, who were used to getting their way. Truelsen was elected mayor in 1896 as the “people’s candidate,” ensuring Duluth would have safe drinking water—without overpaying for it—and earning him the nickname “Typhoid Truelsen.” He oversaw the construction of the Lakewood Pump House, which supplies Duluth with clean drinking water to this day.